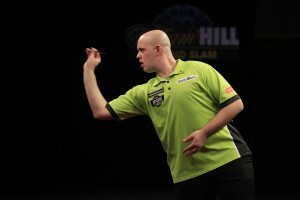 Dutch duo Michael van Gerwen and Vincent van der Voort both claimed straight sets victories in round one of the Ladbrokes World Championship at London’s Alexandra Palace on Thursday. van der Voort produced a solid performance to see off Stuart Kellet, while van Gerwen eased past Paul Lim, who produced a moment of magic with a 170 checkout. Those triumphs saw the first round reach it’s conclusion, with James Wade, Simon Whitlock, Robert Thornton, Paul Nicholson, Mark Webster and Raymond van Barneveld all still in the hunt to be the first winner of the new Sid Waddell trophy. Friday sees the second round commence, with Thornton and Nicholson doing battle for a place in the last 16. Simon Whitlock won through to the second round of the Ladbrokes World Championship with a comfortable straight sets victory over Haruki Muramatsu on Wednesday night. The reigning European Champion kicked of his campaign for glory at the Alexandra Palace with an assured display against the Japanese number one. Andy Jenkins was less successful on his return to the £1 million pound tournament after a two year absence, losing out to Justin Pipe. Thursday evening sees Dutch duo Michael van Gerwen and Vincent van der Voort begin their respective campaigns as the first round draws to a close. Mark Webster and James Wade were convincing first round winners on night four of the Ladbrokes World Championship at London’s Alexandra Palace. Both produced classy performances to progress into the last 32 of the £1 million tournament on Monday evening. Webster was particularly impressive in his 3-1 success over Ian White. The Welshman hit seven 180s and posted a fantastic average of 97 to dispatch of one of the most dangerous unseeded players in the tournament. “I knew I was in for a tough game,” said Webster, who faces Colin Lloyd or Darin Young in round two. “I can take a lot of positives out of that win and I’m really looking forward to the next round. Wade made light work of a potentially tricky opponent in Peter Hudson. ‘The Machine’ put together a solid display to see off ‘The Rock’ in straight sets. He said: “I’ve been working very hard but I wasn’t at my best tonight. Arron Monk was unable to join Wade and Webster in the last 32. 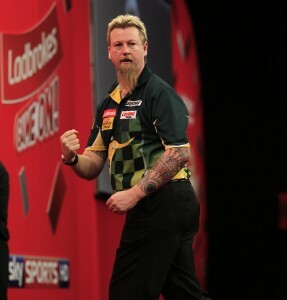 The former World Youth Champion was defeated by Peter Wright. Raymond van Barneveld rolled back the years with a sensational first round display in the Ladbrokes World Championship on Sunday evening. The five-time World Champion hit eight 180s in a 3-0 defeat of Michael Smith, in which he posted an incredible 108.31 average, his highest ever at the Alexandra Palace. Monday evening sees last year’s semi-finalist James Wade begin his campaign to add the World Championship to his impressive collection of major titles. 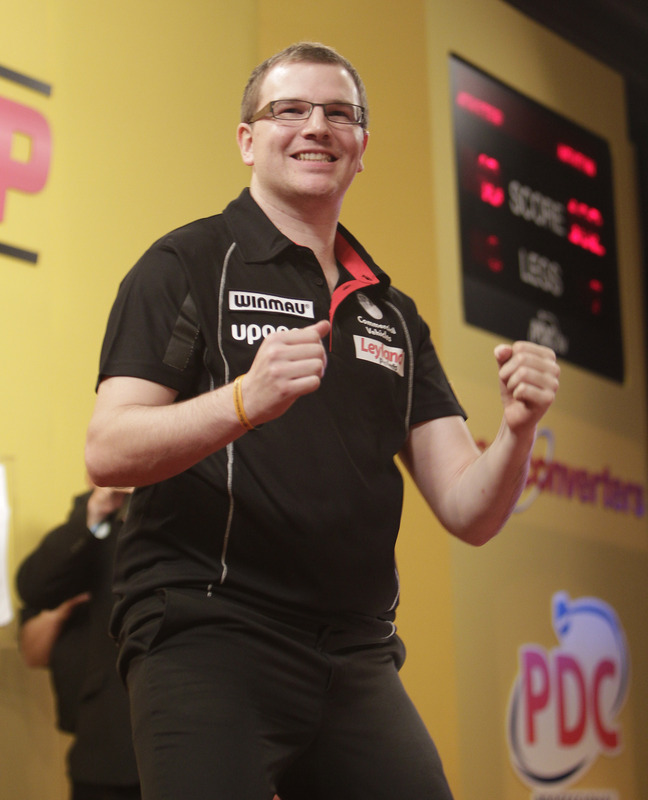 ‘The Machine”, who has won seven PDC premier events to date, takes on Peter Hudson. 2011 semi-finalist Mark Webster is also in action against Ian White, while Arron Monk faces Peter Wright.